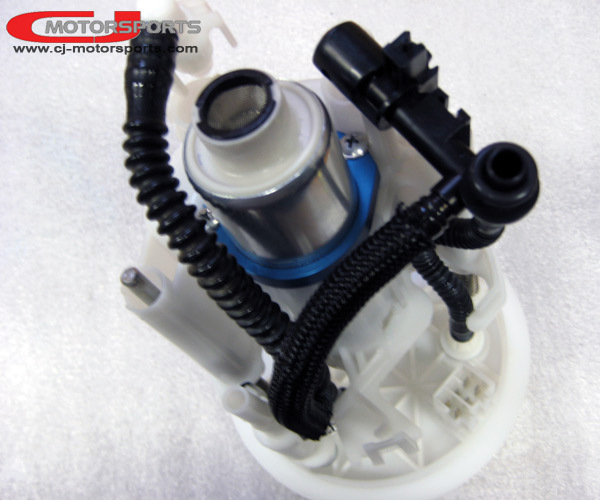 The CJM Subaru fuel pump holder is a DIY solution to securely install a Walbro (or direct fit alternative) fuel pump to your 2008+ Subaru Impreza WRX/STi and some Legacy GTs! The kit includes a billet clamp that attaches securely to your fuel pump housing, and a Viton bushing that replaces the stock o-ring for sealing the output barb to the housing. Some trimming inside the pump housing is required to fit the larger Walbro pump. * Some customers have chosen to install the clamp upside-down so that they can access the clamp screw while the bracket is installed. We see no issue with that so long as the pump is concentric at the output barb.